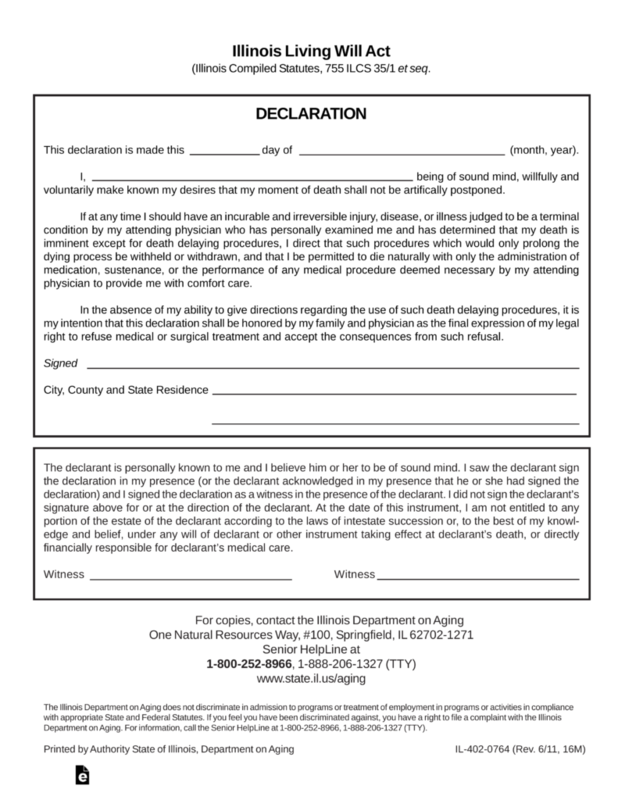 An Illinois living will, also known as a ‘declaration’, is a form that allows a Declarant (Principal) to direct, in writing, their personal decisions with regard to how they would like to have their medical care recognized when they are met with an end of life medical condition. 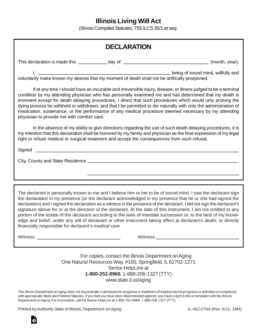 This document will allow the declarant the opportunity to state their end of life desires without the desires of friends or family who may be unable to cope with the decision making process. If at any point the declarant does not feel that they understand the document, they may wish to consult with an attorney prior to completion. This document may be revoked at any time as long as the declarant is of sound mind to do so. Medical Power of Attorney – A durable form which allows for a surrogate to act in your best interests for health care matters in case you cannot speak for yourself to medical staff. This document does not require notarization unless otherwise chosen by the Declarant/Principal.